On July 28, 1918 the government of Woodrow Wilson, the President of the United States of America, issued a proclamation marking that day "A Day of Prayer for Serbia". It was determined that on that day the Serbian flag would wave at the White House and that church bells throughout America would ring in honor of Serbian victims of World War I. A large number of Serbs from America had left their families and homes in the New World, desiring to help their brothers in the battle for honor and freedom in the homeland and join the Serbian army. Many of them never returned. 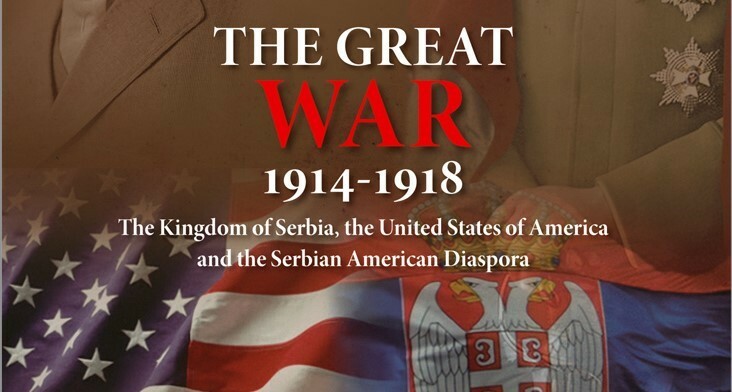 Recognizing their sacrifices and love for the Serbian people, but remembering the great friends of our people in America, the Serbian Orthodox Church is organizing a celebration of the 100thAnniversary of President Wilson's proclamation, the breakthrough of the Salonika Front and the end of the World War I. On the very day of the 100thanniversary of the proclamation, on Saturday, July 28, 2018 the Holy Hierarchical Pan-Orthodox Divine Liturgy will be served at St. Nicholas Cathedral of the Orthodox Church in America (OCA), in the presence of several hierarchs and clergy. In addition to the Serbian Orthodox Church, hierarchs and clergy from other Orthodox jurisdictions in America are expected to attend. Following the Divine Liturgy, the Kolo Sestara, the Circle of Serbian Sisters, from the St. Luke Serbian Orthodox parish in Washington will prepare refreshments for all in attendance.